June is graduation season and the pomp and circumstance is not limited to High School or College anymore. My son just graduated from Jr. Kindergarten last week. It was a formal affair complete with speeches, diplomas, and audience members sitting in the sun. Each name was read and each kid walked the walk to receive their star trophy, diploma, and goody bag. There was entertainment in the form of a choreographed song and dance number by the kids (very impressive by the way-when did they learn that?) The boys were dressed in white button down shirts, jeans, and sparkly red and blue ties. The girls were wearing white shirts, colorful tulle skirts, sparkly flats, and sparkly green and pink ties. The cuteness was unbelievable. How will future graduation ceremonies be able to top this? More importantly, how many more freaking ceremonies will there be if they start in Jr. K? 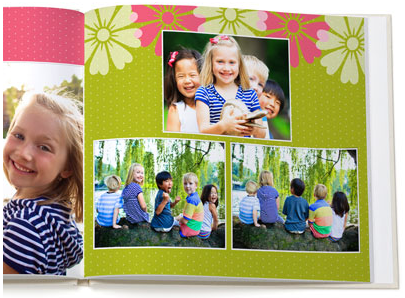 It is great to recognize all of this though, and if you are a nostalgic nut like me a cute idea for a graduation gift for your kid (or you) is to make a photobook to hold memories of this time. There are several sites such as Kodak, Snapfish, and Shutterfly that make this easy. Take pictures of your kids and their friends on field trips and on the playground to remember the year. Take pictures of their artwork and the stories they write. That is a great way to get rid of the tons of paper that accumulates during the school year. If the thought of scanning a million pieces of paper sounds daunting, there are sites such as ScanCafe that will do the work for you. Instead of one year you could document an entire elementary school experience or long membership in Girl Scouts or Boy Scouts from Kinder all the way to 5th grade. After writing this I can’t wait to start a photobook now. I will also promise (to myself) to make a photobook of my kids artwork. I have my work cut out for me with the mountains of artwork that my kids have made. Next post: how to not procrastinate.